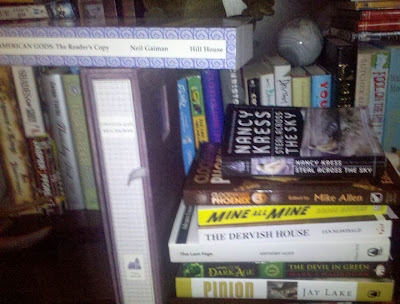 This post is a little longer than most since I've let the books pile up what with my back killing me I haven't had much inclination to spend time sitting in a chair typing if I can help it. On the plus side I've been reading plenty while recuperating in bed. The last couple of weeks have seen an influx of great looking books both purchased and sent for review. 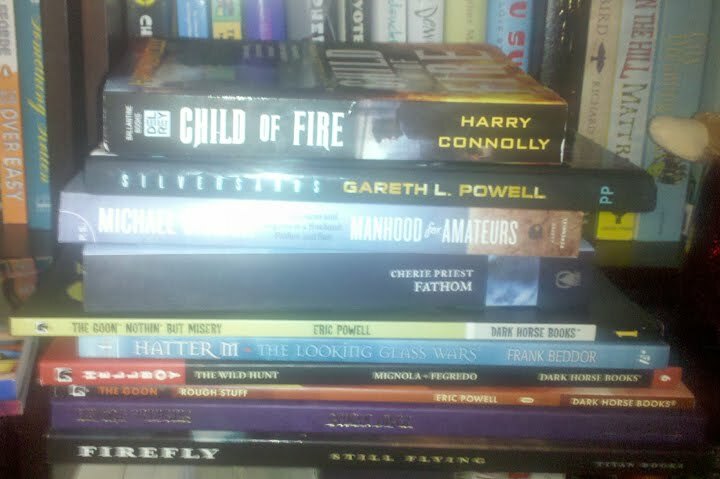 There is one very notable limited edition purchase as well as a few other autographed books that happened into my grasp. Plus my visit to the local comic shop for Free Comic Book Day netted me quite a few trade comics I've been meaning to pick-up for sometime. I actually read a lot more trade comics than I discuss here, but I mostly borrow those. American Gods Limited Edition by Neil Gaiman - This is the lovely edition published by Hill House a few years back, who is now defunct. I bought it through Subterranean Press for original list price despite copies selling online elsewhere at higher amounts, which made me very happy. This edition is the authored preferred text, which means it is longer than the standard. It doesn't have Sub Press's usual touches such as added art, but it is a very fine copy that will stand the test of time housed in a beautiful slipcase. Perched on top of the limited edition is the accompanying readers copy. This is the first time limited edition that I've ever seen with this feature and I appreciate since I don't want to muss the signed edition and the readers copy is also numbered to match my edition. American Gods is going to look gorgeous nestled besides my limited copies of The Graveyard Book, Adventures in the Dream Trade, and my much loved hardcover version of American Gods which I got signed last year. Steal Across the Sky by Nancy Kress - Kress is a new to me author, but what I've heard I like and this blurb has caught me a couple times. “We are an alien race you may call the Atoners. Ten thousand years ago we wronged humanity profoundly. We cannot undo what has been done, but we wish humanity to understand it. Therefore we request twenty-one volunteers to visit seven planets to Witness for us. We will convey each volunteer there and back in complete safety. Volunteers must speak English. Send requests for electronic applications to witness@Atoners.com." At first, everyone thought it was a joke. But it wasn’t. This is the story of three of those volunteers, and what they found on Kular A and Kular B.
Marie Brennan, "The Gospel of Nachash"
Tori Truslow, "Tomorrow Is Saint Valentine's Day"
Michael M. Jones, "Your Name Is Eve"
C.S.E. Cooney, "Braiding the Ghosts"
Shweta Narayan, "Eyes of Carven Emerald"
S.J. Hirons, "Dragons of America"
John Grant, "Where Shadows Go at Low Midnight"
John C. Wright, "Murder in Metachronopolis"
Nicole Kornher-Stace, "To Seek Her Fortune"
Editor Mike Allen says CLOCKWORK PHOENIX 3, like its predecessors, "is a home for stories that sidestep expectations in beautiful and unsettling ways, that surprise with their settings and startle with the ways they cross genre boundaries, that aren't afraid to experiment with storytelling techniques. But experimentation is not a requirement: the stories in the anthology must be more than gimmicks, and should appeal to genuine emotions, suspense, fear, sorrow, delight, wonder. I will value a story that makes me laugh in its quirky way more than a story that tries to dazzle me with a hollow exercise in wordplay. Mine All Mine by Adam Davies - Davies is an author I've heard about over the years, but never given a chance. This one sounds too crazy to pass up when I spotted it in the wild. Come on. It is about a cyanide popping security guard and it is also a romantic comedy. What's not to like? Otto Starks is a "pulse"—a highly specialized security guard who has hyperdeveloped senses and a nervous habit of popping tabs of cyanide. Otto was once a rising star but then he was rolled three times by the notorious Rat Burglar. Now, demoted and dangerously in debt to a loan shark, all he has left is Charlie Izzo, the woman he loves. Unfortunately, she is also the Rat Burglar’s zealous advocate. That’s bad enough. But then Otto gets robbed yet again and the cops pronounce him the prime suspect. When Charlie disappears and Otto becomes a fugitive, he realizes that the Rat Burglar has stolen much more from him than art. And to get it back he must break the law he has devoted his life to upholding. A nail-biting thriller about deception, betrayal, and ownership—in art and in love—Mine All Mine is also a quirky and hilarious romantic comedy. The Dervish House by Ian McDonald - This ARC might sit a little while until the mood strikes me. I enjoy McDonald's work as I found River of Gods to be an amazing read, but it took me two weeks to get through it as his work needs a dedicated mind to grasp all the interconnecting threads. Welcome to the world of The Dervish House; the great, ancient, paradoxical city of Istanbul, divided like a human brain, in the great, ancient, equally paradoxical nation of Turkey. The year is 2027 and Turkey is about to celebrate the fifth anniversary of its accession to the European Union; a Europe that now runs from the Arran Islands to Ararat. Population pushing one hundred million, Istanbul swollen to fifteen million; Turkey is the largest, most populous and most diverse nation in the EU, but also one of the poorest and most socially divided. It's a boom economy, the sweatshop of Europe, the bazaar of central Asia, the key to the immense gas wealth of Russia and Central Asia. Gas is power. But it's power at a price, and that price is emissions permits. This is the age of carbon consciousness: every individual in the EU has a card stipulating individual carbon allowance that must be produced at every CO2 generating transaction. For those who can master the game, who can make the trades between gas price and carbon trading permits, who can play the power factions against each other, there are fortunes to be made. The old Byzantine politics are back. They never went away. 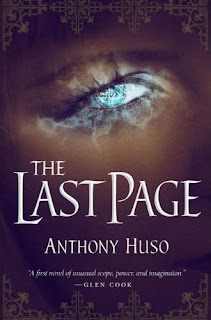 The Last Page by Anthony Huso - This autographed ARC came from debut author Anthony Huso, which amazed me a bit yet this has happened a few times lately. I was already intrigued when I heard about it a few months ago, but I'll definitely be reading and reviewing it around the release date this August. Seems like an odd Urban Fantasy tinged with some Steampunk. The Devil in Green by Mark Chadbourn - Pyr is planning on doing another 3 months drop for the Dark Age series, which follows The Age of Misrule trilogy. I started on The Age of Misrule series last year and lost steam when it came to picking up the third volume despite enjoying the first two volumes. I still have to get back to that last one before starting on this series. Pinion by Jay Lake - The last in Lake's clockpunk series follows the events of Mainspring. Another gorgeous cover from Stephan Martiniere. Rejoin the Librarian and the Chinese submarine captain, the British sailor, the clockwork man, and the young sorceress who has gone south of the great equatorial wall. This adventure in Lake’s Clockwork Earth continues the tale begun in Escapement. Child of Fire by Harry Connolly - A signed courtesy of the author. 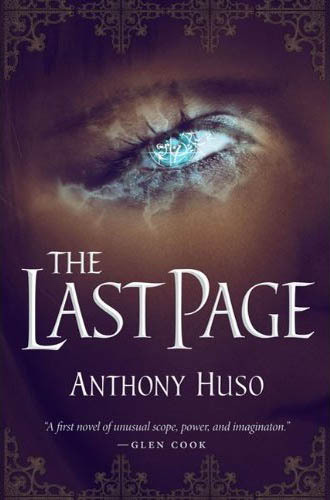 I've been meaning to try this new Urban Fantasy series and I'll probably get to it very soon. I can seem to keep myself from reads that mix in Noir tones lately. I may burn out soon though. Ray Lilly is living on borrowed time. He’s the driver for Annalise Powliss, a high-ranking member of the Twenty Palace Society, a group of sorcerers devoted to hunting down and executing rogue magicians. But because Ray betrayed her once, Annalise is looking for an excuse to kill him–or let someone else do the job. Silversands by Gareth L. Powell - I ordered this novella from indie press Pendragon Press a few months back as the Vincent Chong cover art was enough to sell me. It was a limited run and I managed to get copy #38 out of 300 copies, which was also signed. This is Powell's longest work to date. I've already devoured it. Silversands reminded me of what a prequel to Pohl's Gateway would be like. A fun little read that with a universe I hope Powell expands on. Mark from Walker of Worlds has a good review, which I mostly agree with. 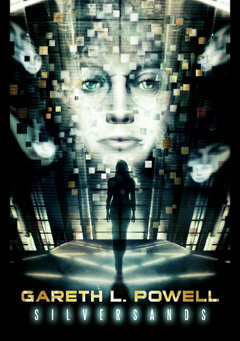 In an age where interstellar travel is dangerous and unpredictable, and no-one knows exactly where they’ll end up, Avril Bradley is a Communications Officer aboard a ship sent to re-contact as many lost souls as possible. But a mysterious explosion strands her in a world of political intrigue, espionage and subterfuge; a world of retired cops, digital ghosts and corporate assassins – all fighting for possession of vital computer data that has lain hidden for almost a century. Manhood for Amateurs by Michael Chabon - This is Chabon's first non-fiction book so I'll have to give it a chance in the near future. A shy manifesto, an impractical handbook, the true story of a fabulist, an entire life in parts and pieces, Manhood for Amateurs is the first sustained work of personal writing from Pulitzer Prize-winning author Michael Chabon. In these insightful, provocative, slyly interlinked essays, one of our most brilliant and humane writers addresses with his characteristic warmth and lyric wit the all-important question: What does it mean to be a man today? Fathom by Cherie Priest - Since I was officially introduced to Cherie's writing last year I'm trying to make it a point to go back and try her other non-steampunk books since she has quite a few. My office just moved and we're now less than a 10 minute ride to a Borders, which could spell trouble for me in the long run. I probably would have picked up the first Eden Moore book if the store had it, but they only seemed to have Fathom, which was fine by me. The ageless water witch Arahab has been scheming for eons, gathering the means to awaken the great Leviathan. She aims to bring him and the old gods back to their former glory, caring little that their ascendance will also mean an end to the human race. However, awakening the Leviathan is no small feat. In fact, Arahab can’t complete the ritual without human aid. Arahab’s first choice is José Gaspar, a notorious sea pirate from eighteenth-century Spain. But when the task proves too difficult for Gaspar, she must look elsewhere, biding her time until the 1930’s, when the ideal candidate shows up: a slightly deranged teenager named Bernice. Bernice is sophisticated, torn from New York and forced to spend a miserable summer on Anna Maria Island, a tiny rock off the coast of Florida. She’s also been saddled with the companionship of her farm-raised cousin Nia. Eventually, Bernice’s disenchantment gives way to rage and she commits a deadly crime. When Nia won’t cover for Bernice, she turns on Nia, chasing her into the deadly coastal waves. But the elementals have better ideas: the moment the girls go under, Bernice is commandeered for Arahab’s task force, and Nia is turned into a strange and powerful creature by a servant of the earth who doesn’t want to surrender his green fields and muddy plains—not yet, at least. Add in a hapless fire inspector who’s just trying to get his paperwork in order, a fire god whose neutrality has been called into question, and a bizarre religious cult, and rural Florida doesn’t seem quite so sleepy anymore. The Goon Volume 0: The Rough Stuff and Volume 1: Nuthin' But Misery by Eric Powell - I've been threatening to start this series for a couple years now and with Free Comic Book Day I finally decided to take the plunge with what started as an underground hit and has blossomed into a huge following. Bones will be broken and heads will roll! The Goon is a laugh-out-loud action-packed romp through the streets of a town infested with zombies. An insane priest is building himself an army of the undead, and there's only one man who can put them is their place: the man they call Goon. 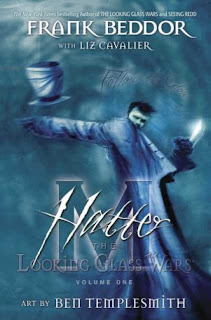 Hatter M Volume 1: The Looking Glass Wars by Frank Beddor and Liz Cavalier Another buy from FCBD, which just happened to be signed by both writers. A very unexpected boon I didn't notice until home. Given the title do you even need to ask why I wanted it? Put to rest any delusions or disinformation you have of the tea-guzzling madman of faux literary history and prepare to expand your consciousness as the saga of Hatter Madigan and his relentless search for the lost Princess of Wonderland unfolds in Volume 1 of the Hatter M graphic novel series! In Frank Beddor's bestselling The Looking Glass Wars, Royal Bodyguard Hatter Madigan was ordered by Queen Genevieve to take Princess Alyss and leave Wonderland after a bloody palace coup staged by the murderous Redd. But while escaping through the Pool of Tears (the portal connecting Wonderland to our world) crushing centrifugal force pulled them apart, and Alyss was lost. In this first volume of the geo-graphic parallel adventure trilogy, Hatter finds himself in Paris, France in the year 1859 shockingly separated from the child he had been sworn to protect. Hatter must now embark upon a non-stop quest, crisscrossing the globe for 13 years in search of his lost Princess. Hellboy: The Wild Hunt by Mike Mignola - I've been reading this series on and off, but Mignola's take on the Wild Hunt is hopefully something to behold. When ancient giants begin to reawaken in the British Isles, Hellboy is invited to join an ancient band of fellow monster hunters called the Wild Hunt and help bring them down. But an unexpected betrayal sends Hellboy after a quarry far more deadly: the Queen of Blood, first seen in 2007's best-selling Hellboy: Darkness Calls. This newly reborn evil has her murderous sights set on all of humanity, and the only way Hellboy can stop her is to finally confront the truth about his own dark heritage. Lenore: Wedgies by Roman Dirge - This graphic novel came courtesy of Titan Books. I've never heard of the series, but it has fun macabre art with a cute little dead girl. It is also slim so I squeezed it in yesterday. Definitely reminded me of Beetle Juice a lot and Tim Burton's recent work. Worth checking out for those fans of Oyster Boy out there. Firefly: Still Flying - This is the latest book from Titan Press who does the Firefly tribute books that I've been talking about for awhile now. Still Flying contains 4 original Firefly short stories written by the original series writers, which will be devoured very shortly. This is the finished copy, which is quite lavish with lots of full color pictures and should be hitting shelves in the near future. Keep up the good work! I invite you to see my post, I hope you will find interesting too.